What are the real numbers? Perhaps the most intuitive answer is that they are all the points you can find on the number line. The integers, which are real numbers, form an evenly spaced set of points along that line. Other numbers, such as and can be found at appropriate distances between them. Those numbers that have a finite decimal expansion (such as ) or an infinite decimal expansion that ends in a repeating block (such as ) are called rational numbers, and they can all be written as fractions. But there are also irrational numbers, such as and , which have infinite decimal expansions that don’t end in repeating blocks and can’t be written as fractions. This makes irrational numbers rather slippery. Because our minds and measuring tools are finite, to find an irrational number on the number line, we have to work with approximations. For example, when working with , then depending on the level of accuracy required (and possible), we might use the approximation , or or , or , etc. The more decimal places you include, the better the approximation. The numbers in this approximating sequence have finite decimal expansions, so they are rational numbers. For all practical purposes, the infinite decimal expansion of gives us a sequence of rational numbers that give better and better approximations to . The sequence converges to in its limit: its terms get closer and closer to and we can get arbitrarily close to by going far enough down the sequence. The same can be said for any other irrational number and its decimal expansion. converges to , trivially, so we can think of as being represented by this sequence. moves off to infinity and doesn’t specify any real number. This is why, in this new way of thinking about real numbers, we only consider those sequences whose terms get arbitrarily close together as you move further along the sequence. To be precise, giving any number as small as you like, you can be sure that if you move far enough along the sequence, all terms to follow are within of each other. 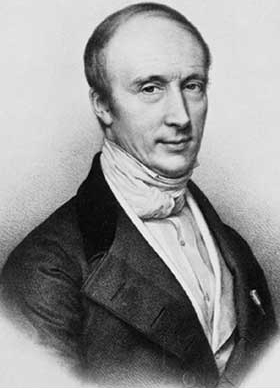 Cauchy sequences are named after the French mathematician Augustin Louis Cauchy, 1789-1857. Such sequences are called Cauchy sequences. It’s a fact that every Cauchy sequence converges to a real number as its limit, which means that every Cauchy sequence defines a real number (its limit). Conversely, every real number comes with a Cauchy sequence of rational numbers of which it is the limit (for example, the sequence you get from the decimal expansion of a number, like the one for in the example above, is always a Cauchy sequence). So thinking of real numbers in terms of Cauchy sequences really does make sense. That’s a valid question. One advantage is that Cauchy sequences only consist of nice and friendly things we understand, namely the rational numbers. It’s perhaps easier to imagine a sequence of rational numbers bunching up closer and closer and defining a number such as in their limit then it is to swallow the infinite decimal expansion whole. Another advantage of thinking of real numbers in terms of Cauchy sequences becomes apparent when you add or multiply two real numbers. Imagine, for example, you want to add and . You can’t just assume that the digit in the decimal expansion of is the sum of the digit in the decimal expansion of and the digit in the decimal expansion of That’s because of the pesky carry operation. For example, the fourth digit after the decimal point in the decimal expansion of isn’t , but because a has been carried from the right. In general, a carry could even ripple through a huge string of digits from right to left. Cauchy sequences don’t have this problem. If you add (or multiply) the term in a Cauchy sequence for and the term in a Cauchy sequence for you get the term in a Cauchy sequence of (or ). No carry required whatsoever. This can make calculations and especially theoretical arguments easier. This is annoying, but not impossible to deal with. Technically, mathematicians declare all Cauchy sequences that converge to the same limit as "the same" (this results in a so-called equivalence relation) and then define a real number as an equivalence class of Cauchy sequences. The approach can be bit unwieldy, but then, mathematicians deal with unwieldy things all the time. Using Cauchy sequences it's possible to define the real numbers from scratch, without ever even referring to decimal expansions or any other prior understanding of what they are. You can find a nice explanation in this document by Todd Kemp. The real numbers then form a completion of the rational numbers. They are what you get when you add a new number for every Cauchy sequence of rational numbers that converges to a limit that isn't itself a rational number. This article is part of our Who's watching? The physics of observers project, run in collaboration with FQXi. Click here to see more articles about constructivism.